I can date my fascination with spies back to the time my father took me and my brother to our first James Bond movie. I was seven and the movie was “For Your Eyes Only” and my mother was not terribly pleased when she found out. We were on holiday in Sydney at the time and she’d had two children to entertain while my father, a barrister, was appearing in the High Court. Charged with looking after us while mum enjoyed a well-earned break, Dad was supposed to take us somewhere educational, or at least to see some sights, but James Bond it was. I loved every minute of it, though afterwards I told my father severely that my heart was in my mouth the whole time. Incidentally, to this day I am afraid of deep sea diving (in case someone takes a Bowie knife and severs my air hose, naturally) and would be wary of traveling by helicopter in case my headphones electrocuted me. But these were minor side-effects. I was hooked. I found a slightly different and more intriguing Bond in Ian Fleming’s books and read them all. Later came Frederick Forsyth and others, television shows like Spooks and Homeland and the more sophisticated and ambiguous works of John Le Carré. One thing bothered me, though. Where were the women? From the time of World War II, the British government acknowledged that women were used as spies behind enemy lines, but of course the tradition of female spies, informants and agent provocateurs must reach back centuries. I found a wonderful example of a female spy in Evelyn Anthony’s Davina Graham and later there was Stella Rimington with Liz Carlyle. While researching “The Traitor’s Girl”, I discovered that the truth is just as entertaining as fiction. In fact, fiction labors under the disadvantage of having to be believable, whereas the most unbelievable things were done by the British Special Operations Executive during World War II to gain advantage over the enemy. Some of these operations involved female agents. As more of the MI-5 archives are released to the public, fascinating details are emerging of different operations during the war. The character of Carrie in THE TRAITOR’S GIRL is inspired by an agent provocateur who worked for MI-5 during the war, code name “Agent Fifi” and whose file was declassified as recently as 2014. Similarly, the character of Eve was inspired by another real woman, Jane Archer, a barrister working for MI-5 who debriefed a Soviet defector before World War II and discovered there was a Soviet mole in the Foreign Office. According to the infamous Soviet double agent, Kim Philby, he thought Jane Archer, an expert on Soviet intelligence, was the only person who might have discovered he was a traitor. In THE TRAITOR’S GIRL, Eve and Carrie are two unlikely allies who work together to uncover a traitor in their midst. Concerned that her grandmother’s secret past has caught up with her, Annabel stays on to investigate. But the more she uncovers, the more difficult it becomes to know who to trust. There are strange incidents occurring at Beechwood and Annabel must use all her ingenuity and daring to find Carrie before it’s too late. 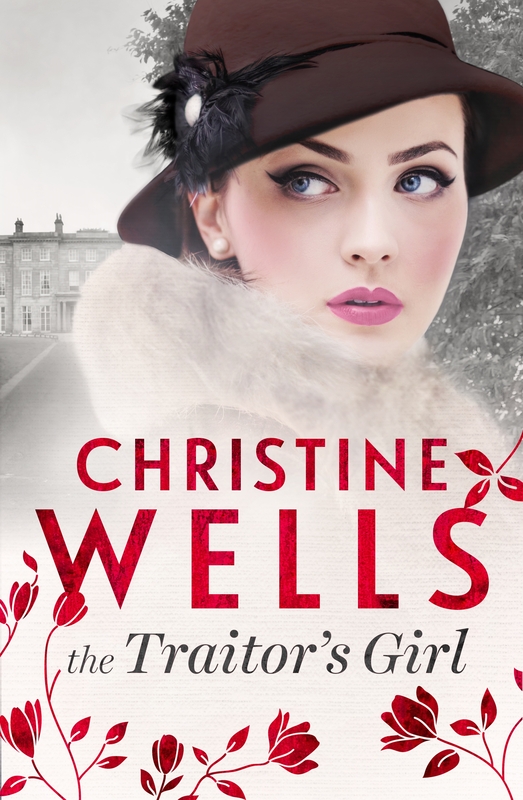 From the streets of Seville, Paris and London in the thirties and forties, to the modern English countryside The Traitor’s Girl is a captivating story of passion, intrigue and betrayal.